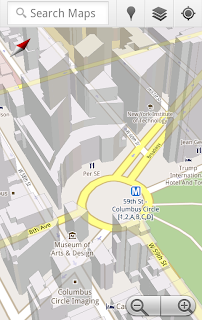 Google finally launches Map 5.0 for Android technology. 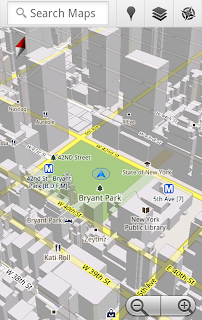 The Next Generation of Mobile Maps, this new version includes many new features and technology for smartphones users like 3D Interaction and Offline Reliability. You can have free, turn-by-turn GPS navigation with voice guidance for driving or walking directions. 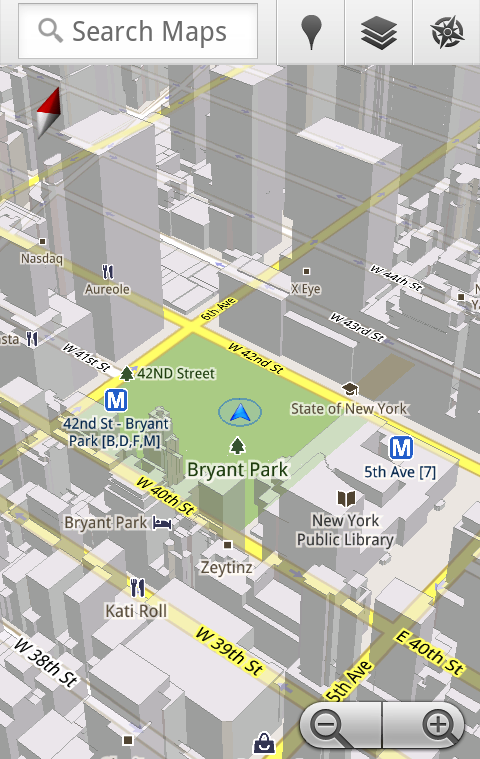 You can Explore the map in 3D. 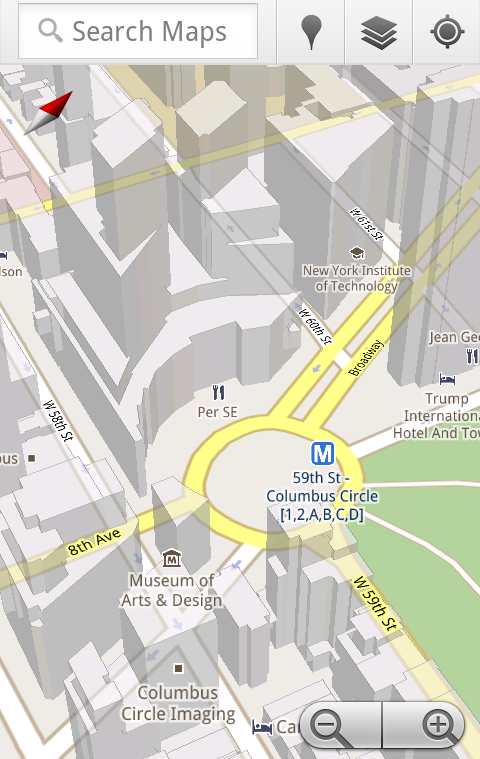 With two fingers, drag down to tilt and see 3D buildings where available; twist to rotate (on supported devices). You don’t have to worry (so much) about being offline, as the app now caches the areas next to the one you’re currently in, meaning you’ll be able to seamlessly keep navigating for a while even when offline. If you’re using Google’s turn-by-turn GPS navigation, the app can now calculate a different route, even if you’re offline. You still need a connection to start a route, however. This feature will be rolled out gradually over the next couple of weeks. Google has launched Google Maps for mobile a little more than five years ago. Since then, they have added dozens of features, and grown from a few thousand to more than 100 million users. Still, a couple of things have remained the same: a flat, north-up map and the need for a strong Internet connection. Now they are changing that for the first time.